For 76,783 homes and businesses in upstate New York, the future of internet access will be a satellite dish and as little as a 20 GB data allowance per month, courtesy of the New York State Broadband Program Office’s decision to partner with HughesNet, a satellite internet provider, instead of finding a provider willing to extend wired internet access to every New Yorker. For town supervisors and village mayors up and down the state, relying on HughesNet is nothing short of breaking Gov. Andrew Cuomo’s promise to bring broadband service to every New York resident. Rural residents strongly agree, if only because many of them have directly experienced the pain and frustration of satellite internet in the past. She isn’t pleased the governor is walking away from rural New Yorkers. “Definitely broken promises there,” Harte says. In the North Country, Willsboro town supervisor Shaun Gillilland believes the issue is personal between the governor and his constituents. “The state made a promise and you’re all here expecting them to carry through on that promise, and I think what we’re finding is that that promise is falling very short,” Gillilland said. Further west, some residents in Niagara County, near Niagara Falls, are preparing to abandon their homes and move out of state to find internet service and a state government less beholden to corporate interests. This particular resident has called out state and elected officials for months on social media to draw attention to the reality rural New Yorkers are going to be stuck with awful internet access for years, while Gov. Cuomo takes credit for a program he will claim is a success story. 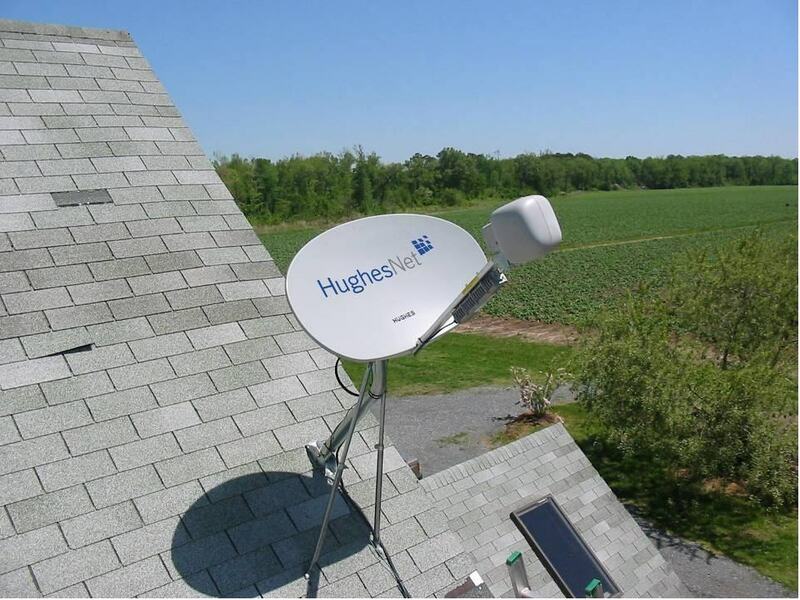 HughesNet plans for New York customers at designated addresses for New York’s rural broadband program top out with a 20 GB data cap. HughesNet appears to be ready to take $15,620,785 from New York and $13,720,697 in private and federal funds and leave residents with internet service even worse than they offer many of their regular customers. Susan Potter, who lacks internet access to her home near Watertown, thinks there is a scam afoot. HughesNet’s own website tells an interesting story. Residents who enter an address designated to receive satellite internet by New York are offered just two plans — 10 GB and 20 GB per month (with a 24-month term commitment). 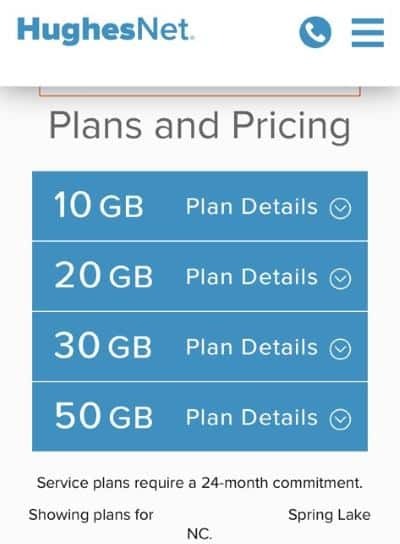 Outside of those areas, HughesNet offers up to four plans — 10, 20, 30 and 50 GB allowances per month (with the same two-year term commitment). HughesNet promises “up to 25 Mbps” but disclaims any responsibility if it fails to meet that speed. “NYBPO officials cannot seem to understand that the technology has limitations and that they can’t offer unlimited data,” the Middleport resident and Stop the Cap! reader added. Few Albany residents working for the state government have to contend with no internet options, and wired internet plans in New York remain uncapped with no data allowances, which may mean some public officials have yet to grasp the implications of a 20GB data cap, less than what wireless phone companies offer state residents with unlimited data plans. The average home broadband user now consumes an average of 190 GB of data per month, which means HughesNet’s offer is for strictly rationed internet access. HughesNet plans in parts of North Carolina offer up to 50GB of access. He said he compiled a list of questions: 99 percent coverage of what? What exactly did they mean by “broadband?” Why were the contracts issued to the companies that they were? Then he and the supervisors filed a Freedom of Information Law request to the state for answers. “The gist of the responses we received was either no answer, ‘We won’t answer that,’ or the answers made very little sense,” Hopmeier said. With tens of millions of state taxpayer dollars on the table, Hopmeier worries the state is going to waste a huge amount of money on an unworkable solution for rural New Yorkers. “My concerns boil down to: one, ‘How are they measuring what they are doing? Two, is there an audit going on? Is there an attempt to review and determine whether those standards and goals are actually being met? And then three, what actions will actually be taken to correct any problems if we can find them,” Hopmeier said. He has experience using HughesNet himself, and as a result of what he calls “totally technically unacceptable” internet service, he is now sending work out of state to Virginia and Florida, where broadband service is better. Two hours north of New York City, it is not difficult to find a broadband desert. Steve Israel, writing for the Times Herald-Record, notes Sullivan County communities like Bethel, Callicoon and Delaware, along with Ulster County towns like Marbletown and Rochester are going to be stuck with fixed wireless at 2 Mbps, HughesNet at 15 Mbps (assuming it isn’t congested that day) or for a precious few — Charter Spectrum, which is rebuilding its rural cable systems to support faster internet speeds. For others, DSL from Verizon claims to offer up to 15 Mbps, but few admit to getting service anywhere close to that speed. All of these rosy speed predictions come from the state, but residents on the ground know better. “Thousands of folks will be left without the high-speed internet Cuomo promised,” Israel wrote. HughesNet isn’t the only provider attracting crowds armed with pitchforks and torches. 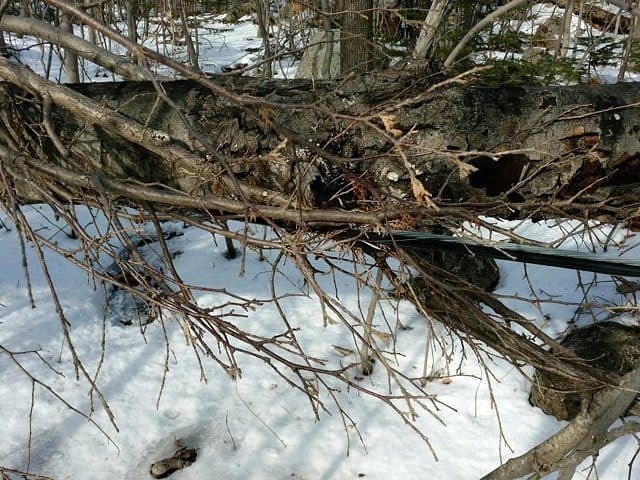 Frontier Communications, which was recently awarded $9.7 million to extend DSL service to 2,735 more rural customers in the Finger Lakes, Southern Tier and North Country, attracts scorn from its existing customers. “There is a special place in hell reserved for Frontier’s despicable DSL service,” scowled Lillian Weber. “Disgustingly inadequate,” fumed Wilmington resident Bob Rose, who has been at war with Frontier for months about slow or intermittent service. “It’s like not having internet access at all — dial-up used to be faster,” added John Schneider, another unsatisfied customer. Weber holds the record among her neighbors for the longest delay for a Frontier repair crew to show up — eight weeks, resulting from three “missed” appointments. Rose is never sure if Frontier’s repair crews will turn up at his home either when his internet service fails, which is often. Frontier says Rose lives in a troubled, “high volume area.” Rose says his entire neighborhood has three or four homes. He now never leaves home without his Wi-Fi hotspot, because it is often the only way to stay connected. Rose can point to at least one visible problem he saw last winter around his neighborhood. Frontier is simply not taking care of its network. Local government officials also hear often about Frontier. 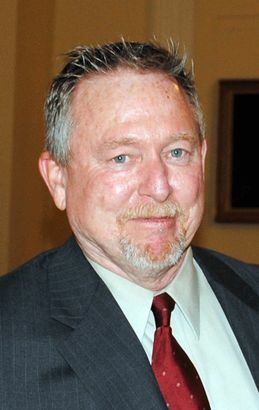 Essex County Board of Supervisors chairman Randy Preston is one of them. “Every other week, I get a complaint about Frontier,” he said. He has personally filed a complaint with the state’s attorney general and is sending a call-out to all Frontier customers dissatisfied with their internet service to do the same. He does not believe Frontier deserves a penny of state money, and the company should return what it has already received. The requirements of the current round of broadband funding require participants to offer customers 100 Mbps of service, something a Frontier spokesperson confirmed. “In general, the program requires projects to have speed capability of 100 Mbps. The Frontier projects will satisfy this requirement of the program,” the spokesperson said. That will likely require the phone company to bring fiber to the home service to the 2,735 customers to be served. Current customers will believe it when they see it. It is also clear that existing customers will not be so lucky. When asked directly if Frontier will upgrade to fiber-fast internet speeds elsewhere in New York, Frontier Communications manager Andy Malinoski kept his answer to The Sun vague. The NY Public Service Commission urges New Yorkers with Frontier DSL problems to complain directly to them. My question is what exactly is HughNet doing with the money? They already offer free installation in most areas so what is this money going towards? Are they offering cheaper internet? They sure the heck aren’t going to shout another satellite into the air with that money. Can anyone tell me what EXACTLY this giant waste of money is going? Also what about PRE 5G from Verizon as a possibility? Is the distance to great for fixed 5G wireless. I am unsure what spectrum Verizon is using for their new 5G home based system and I know that effects the overall distance that can be achieved from said 5G fixed wireless antenna. Just to clarify, I think they are throwing in a free or discounted dish, which isn’t such a big deal if you can find a promotion that does the same. I had assumed the subsidy would give NYers a bigger data cap or a more capable service, but no. You also still get a 2-year contract commitment. I think Charter’s experimental CBRS extended Wi-Fi-like tests hold more promise in rural areas because that signal can reach miles. It also connects with Charter’s existing fiber infrastructure, so it is much easier to deploy. I am trying to see if we can’t get some commitments from Charter for additional expanded service in rural NY added to the settlement talks in NY. Well I guess I should of scrolled down first lol. Question answered by the Verizon article. Good job Phillip. Note to self scroll down a few articles before blasting out a question. 20gigs? Abysmal. I would use that in a couple of hours. Even 50. I’m certainly fortunate to have unlimited internet with Spectrum. I’m one of the 76,783 homes that are receiving Hughesnet as the solution to our lack of broadband. The interesting thing is, it’s already available in my area and so is ViaSat which I have. I currently have a larger plan than that is offered by the Hughesnet service so I cannot understand what they were awarded money for. I could see it if another satellite will be launched which would then expand the capabilities (higher data allowances and/or faster speeds) that it being a stop gap measure until further wired access could be expanded. Ultimately no matter what, satellite is not a replacement for wired service as the latency is just way too high. The ability to scale satellite service is nowhere near the capabilities of wired service. 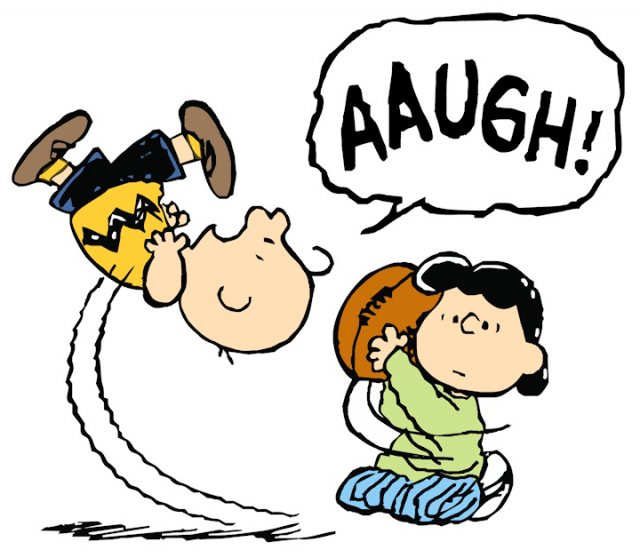 I am extremely disappointed in Cuomo’s choice in using Hughesnet or any other satellite provider as a solution. I had high hopes for this initiative and as usual am being disappointed. The real kicker is that on NY’s Broadband Program Office website, if you look up my address it shows, including Hughesnet, multiple service choices. One of these is 100Mbps service from Spectrum. Unfortunately not one of these wired services are actually available and when I contacted the BPO to let them know the map is wrong, they said it’s not their fault and I would have to contact the service providers. I would love it if there was something I could do to resolve this. I live in Thurman and to date we have been lucky enough to have a private citizens committee (Thurman Citizens Broadband Initiative) advocate and gather information for us. It is through them that I was able to find the map that showed I had been “awarded” to Hughes Net which caused me huge disappointment as we had them at one point and were thoroughly dissatisfied. The idea that the option of actual cable not being available to me is completely false. Through the map and a phone call to the State Broadband Program, I see that fiber optic cable being put in by SLIC (the other company that was awarded in our area) will run right in front of my house (those on the other side of the road from me will get that) but the state in their “infinite wisdom” has divided our Town into “grids” and my side of the street gets the short end of the stick. It’s not an award, it is a sentence to be stuck with satellite. It sounds like your census block was deemed already served (except for you and some neighbors I suspect) which is why you are not included and stuck with satellite. We are fighting to see the other 78,000 New Yorkers get wired internet, not satellite fraudband. Thought maybe, just maybe Cuomo may change things for us rural underserved. Alas it was not meant to be.We never and I mean never do better than 1.5 megs on download. It is broadband at 3am when nobody is using it. Satellite internet may eventually get better, but not in the near future. DSL is dead technology and giving companies like Verizon and Frontier more money to provide it is a cash flush. You want fiber to the home or at least cable broadband. We have a lot of readers in exactly your predicament and we are reminding the governor this is a job not done. Provisions must be made to reach the 78,000 orphaned New Yorkers who deserve something better. Please keep complaining and get your local town officials to complain to Albany. The more noise we can make, the more opportunity we have to undo the damage. HughesNet will be offering both a 20 and 100 GB plan to NY Broadband residents. 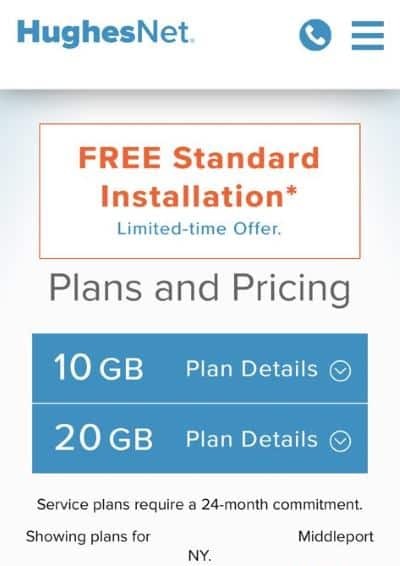 The NY customers will be the only ones in the US that have a 100 GB plan available to them (as of March 2019, 50 GB plans are the max nationwide). In addition to free installation, the equipment will be free of charge. While this might not be the Internet people were waiting for, HughesNet did offer something additional with the 100 GB plan. Do you have a link or any other information about this we can take a look at? This is news to us and I have not seen it referenced before.